Auto Ship & Earn + 232 Points What's this? Heavy toxic loads from foods and your surroundings may have a direct impact on your overall health and wellness. 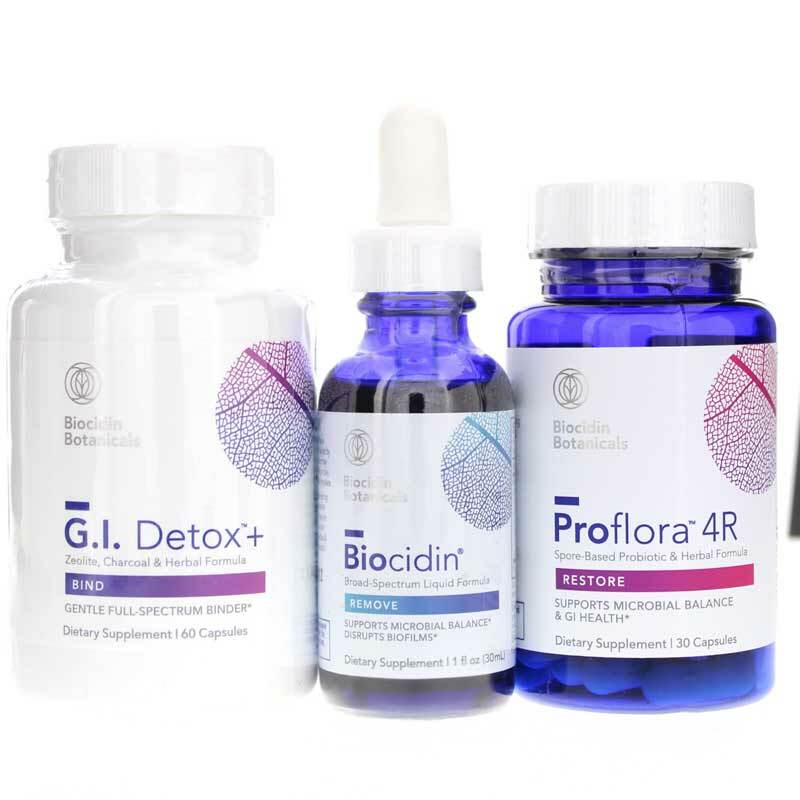 If you've been looking for a way to cleanse and give yourself a healthy boost, Bio-Botanical Research offers the Bioclear Cleansing Kit with Biocidin Liquid, which contains three products designed to support optimal health and cleansing. The Bioclear Cleansing Kit with Biocidin Liquid from Bio-Botanical Research is the ideal way to cleanse and help your body maintain optimal digestion, as well as a healthy microflora balance. Order yours today and see the difference it may be able to make in your health. Vegetable glycerin, Bilberry extract (25% anthocyanosides), Noni, Milk Thistle, Echinacea (purpurea & angustifolia), Goldenseal, Shiitake, White Willow (bark), Garlic, Grapeseed extract (min 90% polyphenols), Black Walnut (hull and leaf), Raspberry, Fumitory, Gentian, Tea Tree oil, Galbanum oil, Lavender oil (plant and flower), Oregano oil (plant and flower). Other Ingredients:<5% alcohol (potato and/or cane source). Other Ingredients: VegiCap (hydroxypropyl methylcellulose and water. Adults: Product usage chart included.